Chart analysis of Kool. Alert issued at $1.72, close at $2.30, Gain of 33%. This is sample chart for KOOL. The alert was issued at $1.72, and it closed at $2.30 which is up 33% gain. 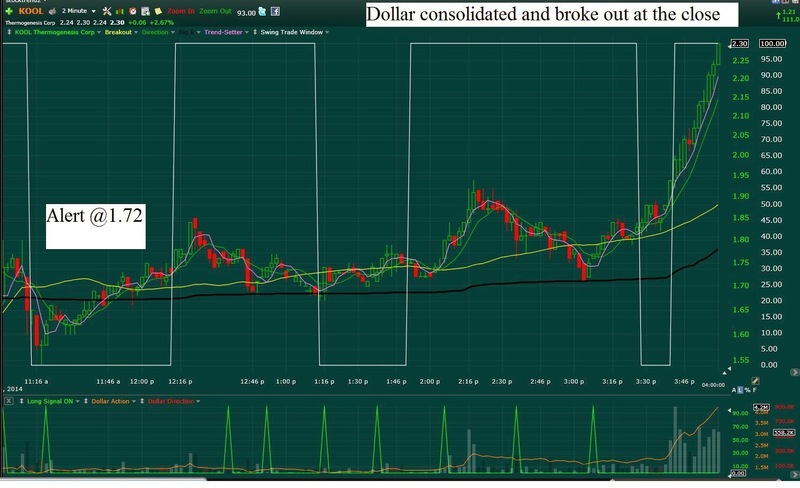 KOOL: If we look the dollar volume was high and it kept consolidated before it broke out in last hour. Alert issued for KOOL at 1.72 for the 3rd bounce.